We get drivers to the right front door first time, every time. With more precision than anyone else. And no friction. Here at PostTag we’ve developed a last-mile delivery technology that improves delivery productivity dramatically; in-market tests and pilots cutting an average of 90 seconds from each delivery. PostTag gets drivers to the right front door first time because our platform is the most accurate on the market – fully automated so that the consumer sees the benefits but doesn’t need to take any additional steps at all - this is most important for online retailers who cannot allow distractions that could jeopardise the sale. We provide final mile operators with pinpoint accuracy via our simple to integrate API - drivers, couriers and riders appreciate being directed to addresses accurately without wasting valuable time searching. And pinpoint accuracy shines a whole new light on deliveries in the dark. Drivers hate wasting time being sent to the wrong place or having to search for addresses. We wanted to have our facts right so we spoke to over 400 delivery drivers; real life working delivery men and women from retailers and couriers across the UK, including Sainsbury's, Tesco, Amazon, Ocado, Waitrose, Iceland, Hermes, DPD and Yodel. They all tell the same story: that they waste a lot of time each day searching for addresses their Sat Navs simply cannot find - a problem that gets worse after dark (when more and more consumers are now demanding their deliveries are made). Drivers have told us repeatedly that there’s nothing worse than a navigation system that tells them the delivery address is in front of them when it really isn’t. According to them it happens all too frequently every single day. PostTag solves this problem, behind the scenes, and in milliseconds - before the driver gets given the job. And it's more accurate than any current Sat Nav system. We know, we’ve tested them all. In fact the customer doesn’t even know that, behind the scenes, PostTag is verifying, checking and identifying their address – without delaying the sales process or asking them to do any work. So it's frictionless. Making last mile navigation significantly more accurate, and easier for all involved. At PostTag, we “push” the driver to the right address. Other systems we’ve looked at do the opposite – they ask the customer to generate a locator code, or even create a few “words”, to “pull” the driver to their address. Sorry, but that’s just too much effort. And more importantly, we know that if you prolong the ordering process with visible hurdles you reduce the likelihood of that customer completing the order. Less friction equals more sales. It's the reason why we developed our last mile navigation technology; to help our clients increase their sales conversion rates. PostTag is supported by global industry leaders and our network is constantly growing with companies seeking a more accurate navigation solution that can link in and work with their own system seamlessly. According to a House of Commons report, 38% of people have had a parcel arrive late. * Getting drivers to the right place first time, every time means fewer delays and fewer missed time slots. Take out the time drivers waste “searching” each day and fill that time with extra deliveries. With PostTag you can increase efficiency and achieve up to 30% more deliveries per day per driver with an average of 90 seconds shaved off each delivery. When deliveries are late or delayed a consumer’s only way to voice their frustration is with bad ratings or negative reviews (anyone in the takeaway delivery business will tell you that). PostTag helps keep deliveries on time so your customers are more likely to rate you well - and better ratings means more business. Help your drivers get to the right front door first time and they’ll love you for it. They hate being late and facing grumpy customers – it’s one of the biggest reasons they get disgruntled and leave. Keeping good drivers is good for business. PostTag will help you keep your drivers happy. As last mile delivery specialists, we want what’s best for our clients, their drivers, and their customers. By getting drivers directly to where they’re supposed to be, without detours searching for locations, or simply getting lost, PostTag will cut mileage and reduce your fuel costs - meaning more deliveries per tank. Logistics and deliveries are responsible for over 25%** of the vehicular carbon emissions globally. And with the rise and rise of eCommerce it’s only going to get worse. Getting drivers to the right place first time, every time cuts unnecessary emissions. * Source: House of Commons Briefing Paper Number: 06763, 14th December 2017. Which? also reports that a staggering £880m is the estimated cost to British eRetailers of late and missed deliveries in 2017, up from £473m in 2014. ** According to the EPA, 26% of all US green house emissions are attributed to the transportation industry. Europe would be no different. 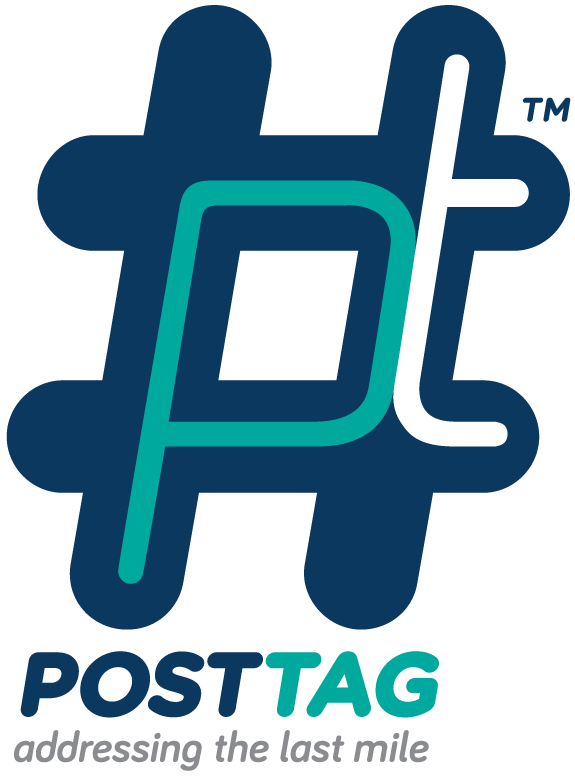 © 2019 POSTTAG™ PostTag is the trading name of Front Door Code Ltd.